KUALA LUMPUR – January 24, 2019: While the impossibility of Putrajaya’s unprecedented lawsuit against the Kelantan government is still up for debate, lawyers argue that if the suit does go through, the reverse is also possible. This is because the same law which allows Putrajaya to file the suit on the latter’s violation of the land rights of the Orang Aslin can be applied the other round. “Same law. Same principle applies,” said lawyer Nora Lina Ahmad who cited Sections 21 and 22 of the Government Proceeding Act as one that essentially permits suits against the government and vice-versa. “If a negligence was committed by a state officer from which the federal government suffer losses, action can be brought against the state,” she pointed out. 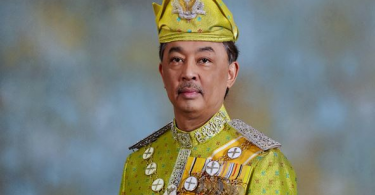 Where Nora Lina was certain that this law allows governments to sue each other, another lawyer Tan Sri Aziz Abdul Rahman contended that such instances should be viewed on a case-by-case basis. As for the Kelantan case, Aziz was unsure if Putrajaya’s lawsuit holds water as Attorney-General Tommy Thomas did not quote any law to sanction the action. 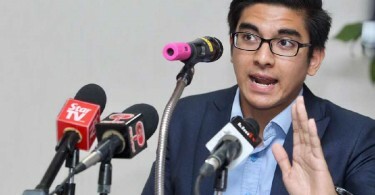 “I am not clear under what law the federal government is suing Kelantan. As far as I know, land matter is a state matter,” said Aziz. Aziz’s contention was in tandem with the Ninth Schedule of the federal Constitution, which explicitly states that land matters fall under the jurisdiction of a state government. Another lawyer, Lukman Sheriff, argued that the Putrajaya’s lawsuit has not only set a precedent for governments to sue each other but it will also have a floodgate effect. “Is the federal government going to bring a civil case for all the grievances of everyone against a state matter? Should the state start suing for grievances of the people for negligence or abuse of the exercise of the federal government’s power? “Also, as it’s a civil suit I am not sure why the political parties can’t help the Orang Asli file a civil class action. It’s a first and I think it does not augur well for the relationship between a state and federal if they’re from opposite camps,” wrote Lukman at Facebook.